Senior-Friendly activities and social events specifically geared toward our group. 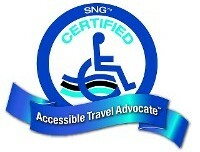 Kathy Shoaf, RN, ATP, is an accessibility travel specialist who accompanies all of our accessibility group cruises. She uses her unique abilities and background to find innovative, effective solutions to travel challenges, giving you the confidence and peace of mind you need to have a great trip. 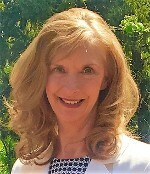 Kathy, is uniquely qualified to understand travel challenges and create rational solutions. Her passion is to deliver Life’s Greatest Memories, Continued Adventures and Honest, Happy Moments even when accessibility challenges and clinical issues exist. We choose trips and ports of call based on accessibility. You should never have to feel left out, so we help you participate in nearly any activity you want, including SCUBA diving, swimming with dolphins, city tours, or relaxing on the beach, when you travel, the opportunities are endless. Cruise options that can take you anywhere. With a focus on accessible travel, we make sure you have everything you need to enjoy every aspect of your trip without restrictions. Our goal is to give you an unbeatable experience in some of the most beautiful locations in Mexico, Asia, Alaska, Canada, Europe, and the Caribbean. Endless options are available: Adjoining cabins for family or caretaker, handicapped accessible ships, staterooms and excursions. Do not let accessibility issues derail your dreams. 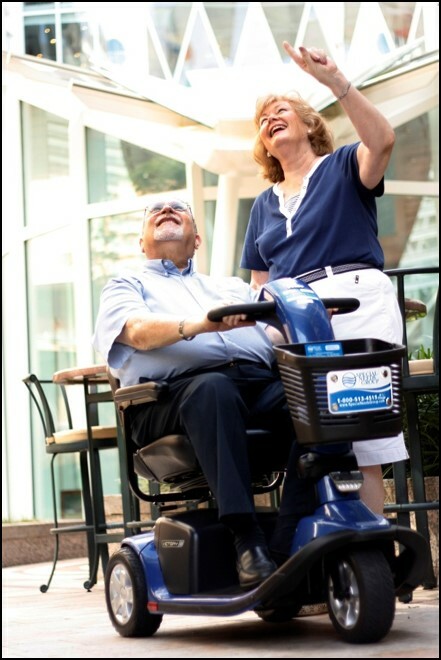 Walkers, wheelchairs, hospital beds, hoyer lifts, reclining lift chairs, incontinence supplies and onboard medical equipment, including oxygen and power wheelchair accessories, do not have to limit your life. Cruise options that can take you anywhere. With a focus on accessible travel, we make sure you have everything you need to enjoy every aspect of your trip without restrictions. Our goal is to give you an unbeatable experience in some of the most beautiful locations in Mexico, Alaska, New England, Europe, and the Caribbean. Endless options are available adjoining cabins for family or caretaker, handy cap accessible shipped, staterooms and excursions. Fun, friendly activities from onboard entertainment to off-board excursions, we choose trips and ports of call based on accessibility. You should never have to feel left out, so we help you participate in nearly any activity you want, including SCUBA diving, swimming with dolphins, city tours, or relaxing on the beach, when you travel, the opportunities are endless. 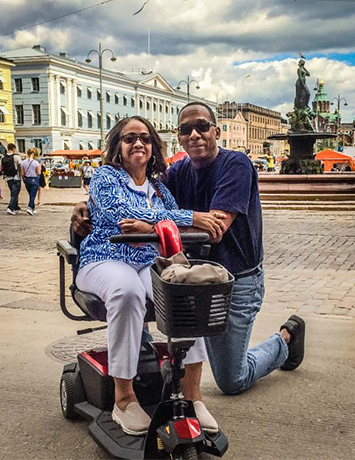 Your travel specialist Kathy Shoaf, RN, ATP, is an accessibility travel specialist who accompanies all of our wheelchair and accessibility group cruises. She uses her unique abilities and background to find innovative, effective solutions to travel challenges, giving you the confidence and peace of mind you need to have a great trip. 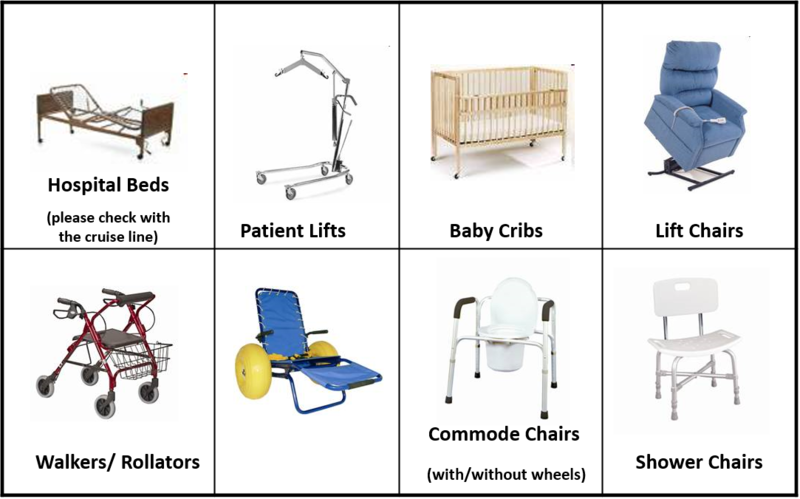 Arrangements made for assistive devices as requested on a per item rental basis, delivered to and picked up from the ship. Scooters, Power wheelchairs, Power recliners etc. All cabins on the ship can be retrofitted to be accessible. Elevated toilet seats, shower chairs, detachable shower-heads, can be added to any cabin at NO additional cost. Cruise guests and or caregivers must be able to manage their own personal care needs, mobility about the ship and in port along with and medication management. 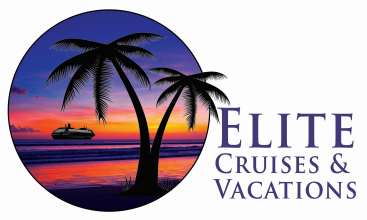 Elite Cruises and Vacations LLC can assist cruise guests/ caregivers, answer questions and problem solve. We can also assist in obtaining personal/private caregiver services to provide hands-on assistance for personal care at an additional cost. Keep Living... It is SO Much FUN!